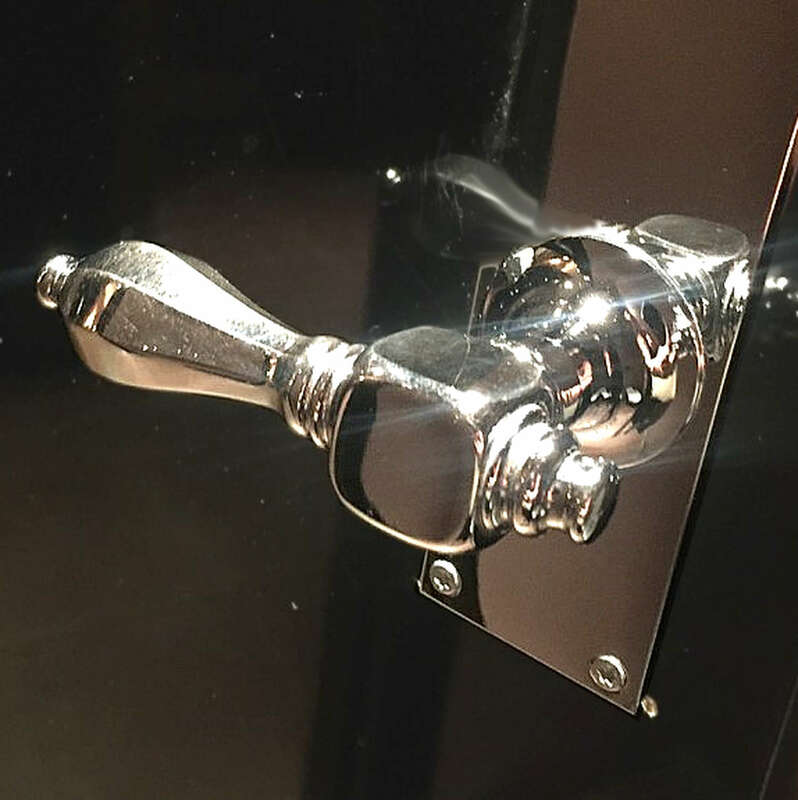 This door handle was introduced into the world around 1910, and is in this size used as a handle for the front door. Søe-Jensen & Co. is producing this handle from the original casts - and exist in a smaller version as well. 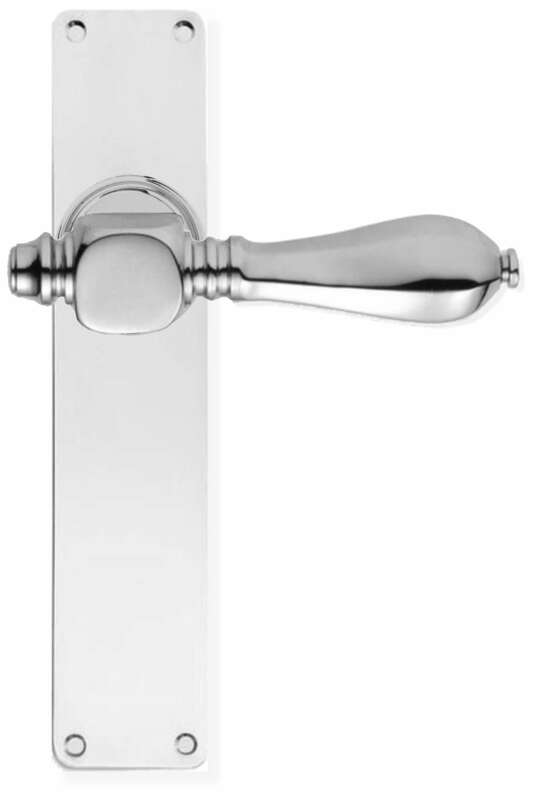 The handle is made of nickel plated solid brass with a hich content of copper, and is sand casted to secure the perfect surface. 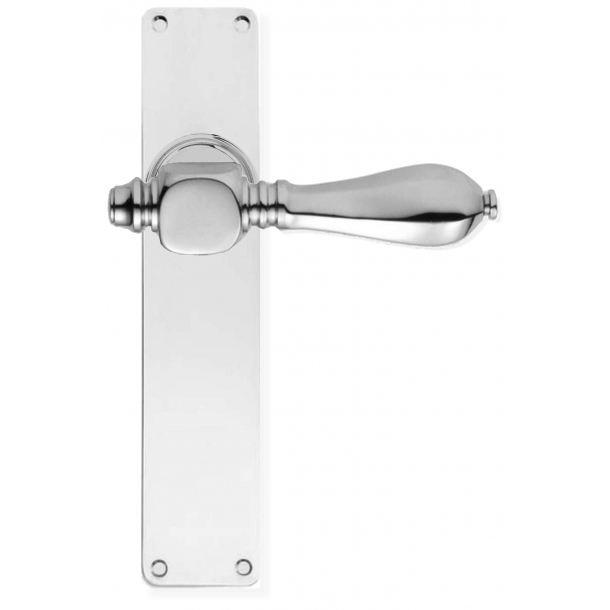 Neither door handle or roses is lacquered which will give the handle a beautifull patina over time.